The remarkable science of reading serial numbers off old, corroded guns! Good luck with this! Serial numbers on cannon manufactured from the Victorian era until the present are important because they are the key coordinates for tracing actual details about that weapons’ history. Some cannon breeches I’ve seen have featured someone using solvent or abrasive to get through layers of paint, grime, and corrosion. While this may be officially undertaken by the local groups, I’m not sure they would appreciate me freelancing. I try to treat the guns like old gravestones, and do a charcoal rubbing on paper. When it works it is okay, but other times the corroded bumps make it useless. Another deeply-scientific technique is using your camera flash, a flashlight or app on your phone, or just the sunlight to look for different angles, raised ridges and indentations. Most Field Guns and Howitzers had serial no.s that read “Nr. _____” with anywhere from 1 to 5 digits. For other types see my note on serial numbers in the War Trophies database tab. Good searching and interpreting! My advice is, if you know what the gun’s number should be from the ledger or another source, don’t accept it uncritically and see that number. Plenty of these guns, machine guns, and mortars were shuffled around. It helps to go to the sources after examination. Using the rubbing (And the War trophies database), we can determine that the gun no. 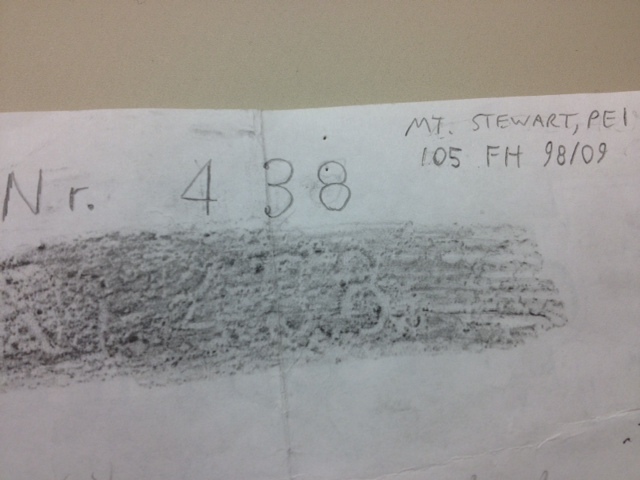 438, located in Mt. 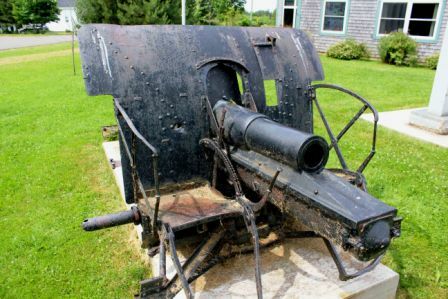 Stewart, PEI was captured by the 11th British Division, operating with Canadian units on the 27th Sep. 1918, during the first day of the Canal du Nord battle, and originally shipped to Charlottetown on June 21st, 1920 by CPR rail. Interestingly, the rail ferry service (using the SS Prince Island) between Cape Tormentine, NB, and Borden, PEI, was new at this time, and sections of the line on the PEI side had been built by prisoners of war. This gun is in front of the library/interpretive center, but used to be at the legion. Marshaling our forces for the advance! 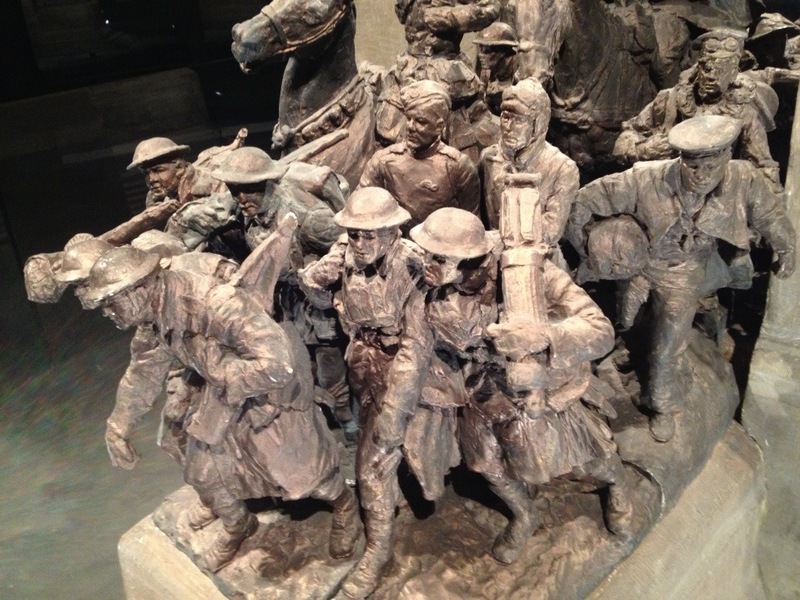 Detail of the model for the National War Memorial, Ottawa, in the Hall of Honour, Canadian War Museum.